CLICK THE IMAGE above to access materials. Our 2018 advocacy and education project focused on domestic violence kicks off this Nurses Week! This year, National Union of Hospital and Health Care Employees (NUHHCE) locals with nurse members will be participating in nationwide community service. No matter what your medical classification, all members are invited to join our campaign to help prevent domestic violence and support survivors. Get the PROUD UNION NURSE Facebook Profile Frame! To update your Facebook profile picture, login to your Facebook account and go to the UNAC/UHCP Facebook page at https://www.facebook.com/unacuhcp/. Scroll down to the top post, which should look like the following photo and click on the Try It button in the bottom right hand corner. 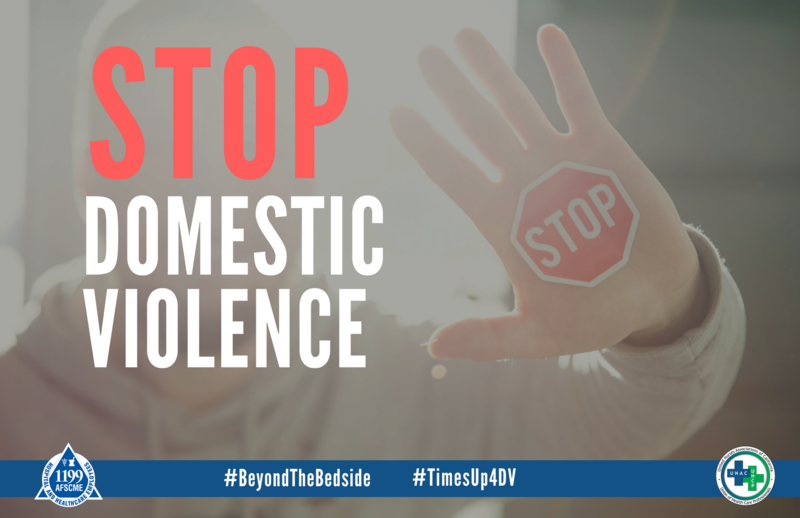 Across Southern CA, UNAC/UHCP members are going beyond the bedside to take a stand against domestic violence and to serve community members in need. Check out the many ways you can be involved this May! UNAC/UHCP members are invited to participate in any of the community outreach projects listed below. Kaiser Woodland Hills Registered Nurses Association (KWHRNA) is teaming up with Haven Hills, an organization dedicated to provide shelter, safety, and support to men, women, and children who have experienced traumatic events in their lives. CLICK HERE for a list of donation items needed. Please contact KWHRNA Contract Specialist/Secretary Elma Zaragoza, RN at 909-282-7905 or KWHRNA.CS@unacuhcpaffiliate.org for more information. Kaiser South Bay Health Care Professionals Association is leading a donation drive for “Welcome Bins” for the 1736 Family Crisis Center to support South Bay families and survivors in need. Donations will be gathered and delivered this May. Contact Kim Mullen at 310-982-0568 or unionunac@gmail.com for more details. Lakewood Registered Nurses Association (LRNA) is supporting Su Casa, a non-profit community-based organization in Long Beach supporting survivors of domestic violence. Donations will be collected through May 23, and delivered on May 23rd at 11 AM to Su Casa. For more information, contact LRNA President Julie Ngin, RN. LYNWOOD: DONATION DRIVE FOR FORGOTTEN CHILDREN, INC.
St. Francis Registered Nurses Association (SFRNA) is collecting donations for Forgotten Children, Inc., a non-profit dedicated to abolishing human trafficking and sexual exploitation of minors. To make a donation, contact an SFRNA officer or Sandi Marques, RN, at sandi.marques@unacuhcp.org. Please sign up at memberlink.unacuhcp.org by May 8, 2018 or contact Team Captain Kim Mullen at 310-982-0568 or unionunac@gmail.com. CLICK HERE for the South LA event flyer. Please sign up at memberlink.unacuhcp.org by May 8, 2018 or contact Team Captain Jess Mangubat at 323-354-0837 or KSRNA.Pres@unacuhcpaffiliate.org. CLICK HERE for the Los Feliz event flyer. Kaiser Orange County Professionals Association (KOCPA) is supporting the children in crisis sheltered by Laura’s House. Donations for Summer Fun Packs will be collected at the General Membership Meeting on May 11. Please check www.ocunac.com or connect with your KOCPA officers for more details. Collection efforts are ongoing at both San Diego KP inpatient facilities and the larger clinics until May 13. Kaiser San Diego Health Care Professionals Association (KSDHCPA) officers will drop off the donations to Becky’s House (1012 C Street, San Diego, CA 92101) on May 15 at 4:30 PM. CLICK HERE for the flyer with the list of donation items. To find out more about this project or to drop off a donation, please contact Lisa Alverson at (619) 206-5516 or Lisa.Alverson@unacuhcp.org. Kaiser Bakersfield Registered Nurses Association (KBKRNA) members are collecting donations for the Alliance Against Family Violence and Sexual Assault. Some requested items from the Alliance are diapers and hygiene kits. Please bring your donations to the general membership meetings taking place on May 10. CLICK HERE for the meeting flyer. Monetary gifts are being collected in Riverside by KRHCPA officers and members. The KRHCPA officers will drop off the donations at the Foothill Family Shelter Gala in Claremont, CA on 5/17 at 6:30 PM. Toiletries are being collected in Fontana by KFRNA officers. There are donation boxes located throughout the hospital. If you cannot locate a box and have items for pick-up, please reach out to the KFRNA officer assigned to your department (list posted in bulletin board). If you would like to contribute toiletries, please reach out to the KFRNA officer assigned to your department for pick-up instructions. Toiletries are being collected in Ontario by KOVHCPA officers for Mercy House in Ontario, CA. Once all toiletries have been collected, the officers will be calling on member-volunteers to help assemble hygiene kits. If you would like to contribute toiletries, please reach out to a KOVHCPA officer. CLICK HERE to access materials for Nurses Week actions and events mentioned above. 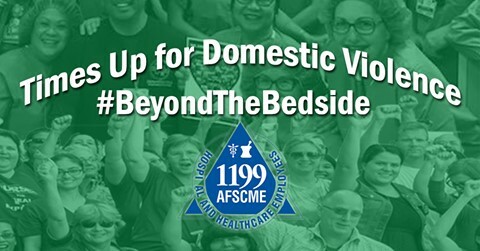 Take and post photos with hashtags #unacuhcp #BeyondTheBedside #TimesUp4DV to share your Nurses Week experience. Stay tuned! There will be more opportunities to serve our communities throughout the year. For the latest updates, follow us on Facebook, Instagram, Twitter, and YouTube.